Shopping for Transformers Car Accessories? Which side of the war will you be on? Mark your car in preparation for the coming battle between the Autobots and the Decepticons! 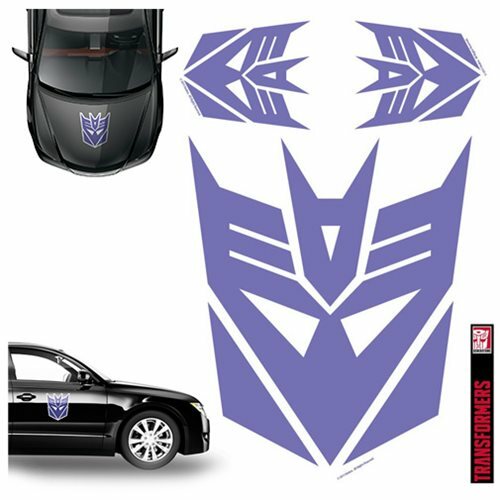 This Transformers Decepticon Purple Car Graphics Set includes 1 large and 2 medium graphics of the Decepticon logo in purple. The large logo measures approximately 13-inches wide x 14 1/2-inches tall and the medium logos measures approximately 5- inches wide x 5 3/4- inches across.